POW POW POW!!! FIRST SPONSOR!!! tired of taking those super close headshots of yourself when you are hiking? the ones where you can see your arm sticking way off to the side snapping the pic, and not much of the background itself? or have you ever wanted to make your own videos? your own version of les stroud survivor man? 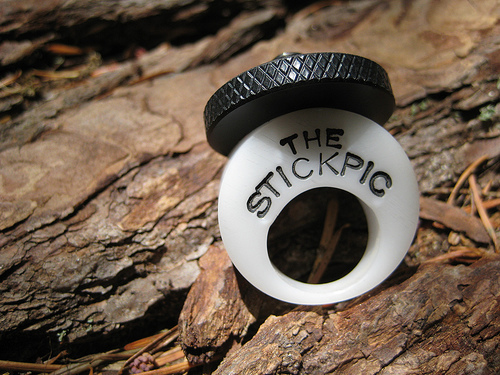 well there is a simple, cheap solution ..... STICKPIC! it clips to the end of you hiking pole, and allows you to attatch any camera with a screw on mount. the possibilites are endless!!! Funny how I have been processing so much info and strategizing about my first 'thru' hike, and the first thing I dream about is playing crib against some old gentleman that resembles my grandfather (who taught me how to play cribbage, and was no doubt my most worthy adversary). for those of you unfamiliar with thru-hiking, Yogi Handbooks are pretty amazing. Basically, a lady by the trail name of Yogi has been hiking the PCT and CDT (continental divide trail) over and over taking new notes every year on the trail towns and collecting information. she is part of a tight knit hiking community that helps her answer questions about their experiences on the PCT, she then updates the handbook every year as far as i can tell, and it has literally EVERYTHING you could want to know about hiking the PCT. all the information for EVERY town you come across. the best places to rent a room, where to find internet, the best stores and restaurants for supplies and hot, greasy, fattening carb-heavy meals that you are dreaming of on the trail. it shows how far these places are from the trail, it is pretty amazing all the info she has crammed into these amazing books. anyhow, needless to say, it just made me that much more excited, stressed, overwhelmed with how much really goes into preparing for a thru-hike. 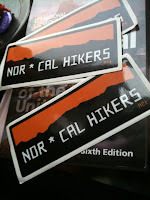 custom Nor*Cal Hikers stickers !!! 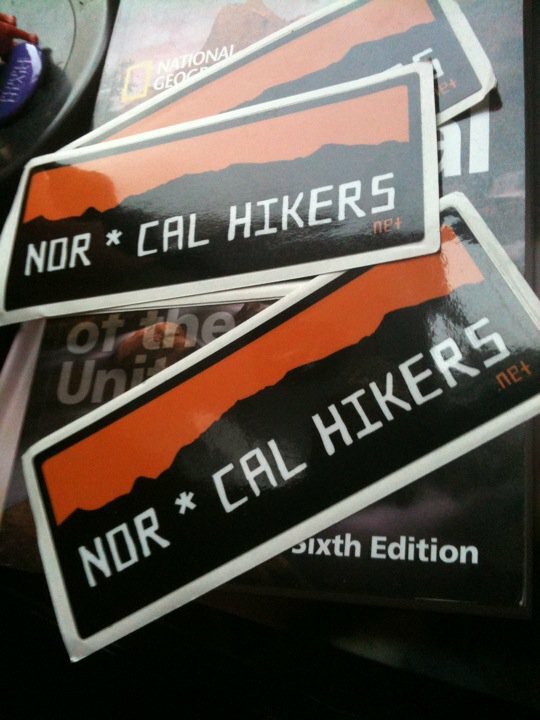 also, a huge THANKS to Erica LeSaint for designing the NCH logo and having the stickers printed for me!!! i just returned from washington where i was visiting my mother and aunt tresa, and a little time with a couple of my super cool cousins (only leland and danielle this time). as well as the coyote sisters (patti and geri) and a few other people i have began to consider friends of mine from the great northwest. i love it up there in western washington along the coast. almost every time i am up there now, the coyote sisters take me out to a place we call 'serenity cove' up on the tahola indian reservation. it is a section of beach that nearly no one ever walks on. everything is so green, and the short hike is through the forest is so awesome and dense with greenery and shrubs and trees. it is a truly magical place. you need special permission from the indian reservation just to be on the land, and thankfully the coyote sisters have a great friend that is a tahola native and lives there as well, granting us basically free access. we see eagles soaring every time we hike in and every once in a while we even find a few beach treasures. i have to give a huge shout out to Patti and Geri for hooking me up with my biggest 'trail magic' score thus far for my trip..
so as you can see, trail magic is in full force, and i am still almost half a year away from taking off.....man 2012 is gonna be an awesome year! !